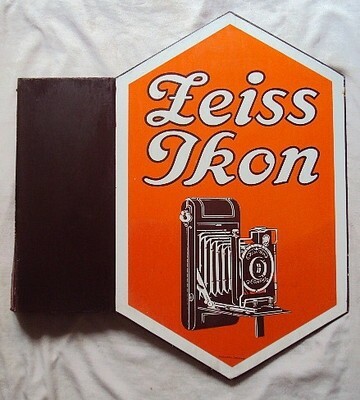 This small flange porcelain sign is for Leiss Ikon lenses. There is a nice illustration of a camera in the center of the sign in black and white. The rest of the sign is orange.